The pale among us (yours truly included) view summer's coming swelter with a jaundiced eye. Working in the garden is great, as is enjoy time outside with friends. It's the sun I can do without. A garage full of hats and a vat of sunscreen are my summertime armor components. Into this area of concern comes this from Natural Health magazine this morning: foods that defend against skin cancer. (Health food stories/blog posts seem to run in threes, don't they?) Bear with us; there's chocolate involved later. Background on anti-oxidants: Much research has been done on the anti-oxidant effects of certain foods. They attach to free oxygen molecules in the body (anti-oxidant, get it?) and keep those radically charged particles from hurtling through out systems and doing damage. Graphic metaphor: Think of a hedge pruner hacking into a watermelon. Colorful fruits. Too much sun can hurt plants as much as it can hurt humans. Plants use color as sunscreen. The more colorful the plant, the higher its protection against unwanted rays. Some of the most colorful plants get their hue a naturally occurring pigment-found in red and pink fruits. Easy to try: Cooked tomatoes are in everything from tomato juice and paste, soup, sauce and ketchup, all of which contain the highest concentrations of lycopene your body can use. You can also get helpful amounts of lycopene from watermelon and pink grapefruit. Stick to brightly colored fruits and veggies such as blueberries, strawberries and red, yellow, and orange peppers. Cold-water fish. Fish don't need sunscreen, but their omega-3 fatty acids go a long way toward protecting our skin. Like antioxidants, omega-3s soothe inflammation. Plus cells made with monounsaturated fats (such as omega-3s) are better able to defend themselves against free radicals than are cells made with saturated fat. Easy to try: Shoot for at least two servings (one portion is the size of a deck of cards) of omega-3-rich fish (herring, mackerel, trout, sardines, or salmon) a week. Studies suggest that fish oil supplements offer the same benefits. Dark chocolate. 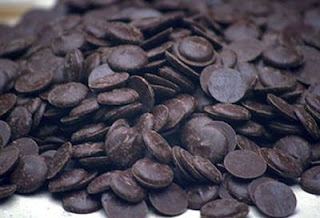 The antioxidants found in dark chocolate, called flavonoids, may safeguard your skin from the sun. In a recent study scientists asked two groups of 12 volunteers each to start their day with a cup of hot chocolate. One group's beverage was spiked with 329 mg of total-cocoa flavanols (a class of flavonoids); the other group had only 26.8 mg. At the beginning, middle, and end of the study, researchers tested a small section of each participant's skin for its ability to fend off sunlight and found a 25 percent increase in that ability in those who'd had the flavanol-charged cocoa. Meanwhile, the control group saw no change. Really easy to try: Nibble on 2 ounces of dark chocolate a day. Don't bother with milk chocolate-the milk prevents the absorption of polyphenols. And don't make your hot cocoa with milk. Green and black tea. Both black and green teas contain polyphenols, antioxidants that target free radicals unleashed by the sun. A study by found that subjects who drank two or more cups of either black or green tea daily were 30 percent less likely to have squamous cell carcinoma than their peers who didn't drink tea. Even better, those who'd sipped tea for 47 years or more saw their odds of squamous cell cancer plummet by an impressive 51 percent. Green leafy vegetables. Savvy eaters know that broccoli and leafy greens like spinach, kale, and chard help ward off lung and colon cancers, but new evidence hints that the protection may extend to the skin. A breakthrough study suggested that the blend of antioxidants, vitamins, and minerals in green veggies could lower the risk of squamous cell carcinoma by more than 50 percent. 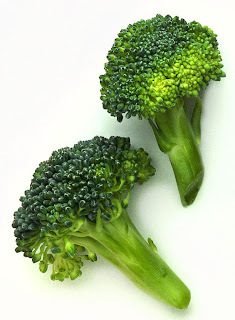 Most recently, scientists have discovered that broccoli sprouts house a potent skin cancer weapon-sulforaphane. The anticancer compound increases the body's natural production of the enzymes that protect skin from the sun.